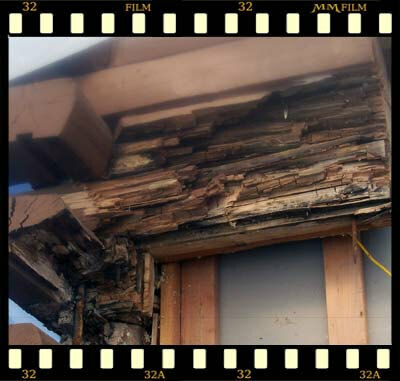 rains, wind driven rain cascades down this wall and has caused extensive log rot in multiple areas. 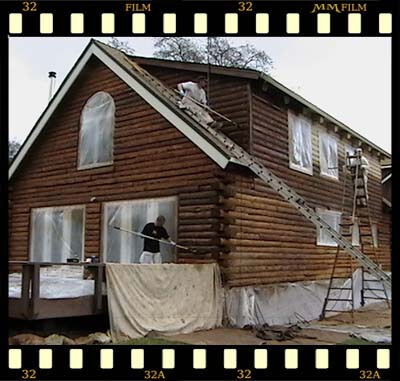 match in logs and duplicating the original building style. 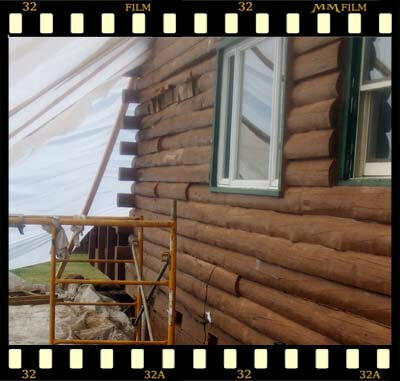 Here you can see the extent of the log rot as we are removing the logs from the corner of the log home. 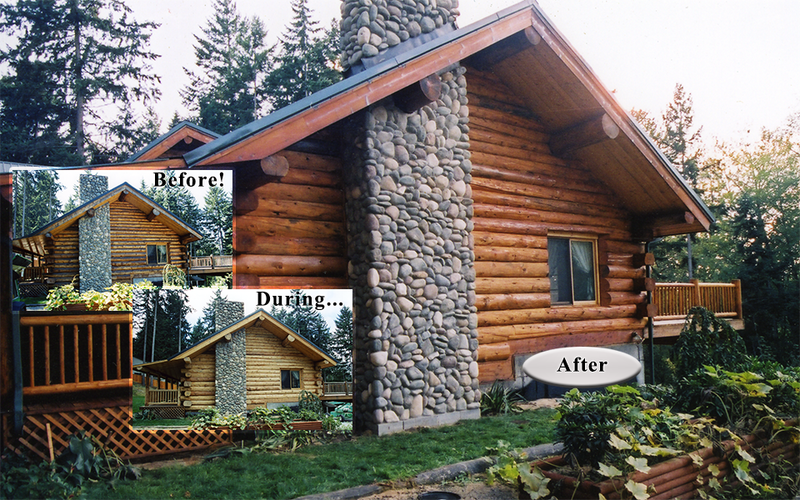 most experienced log repair crew on the west coast, it is all we do. 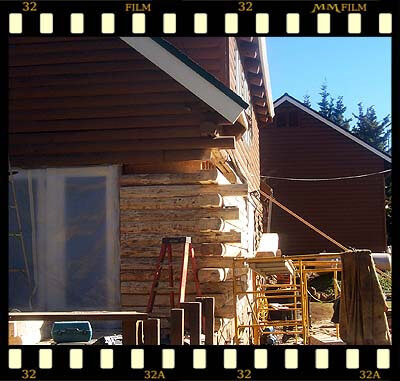 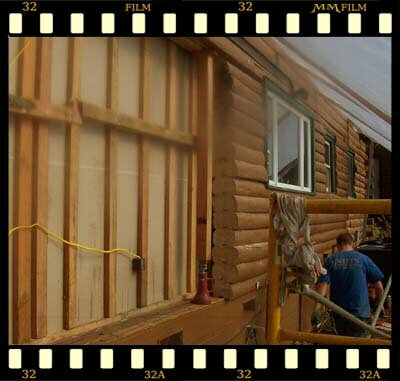 to begin the restoration process on the rest of the log home. 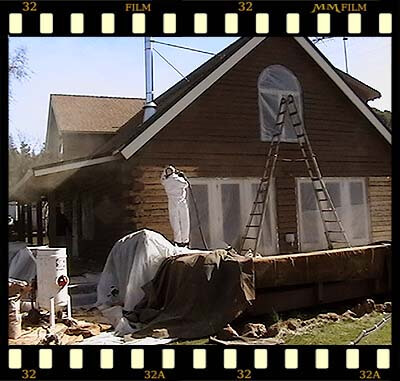 remaining house and apply 2 coats of Lovitt’s Natural Gold oil based wood finish using the Brown Sugar tint. 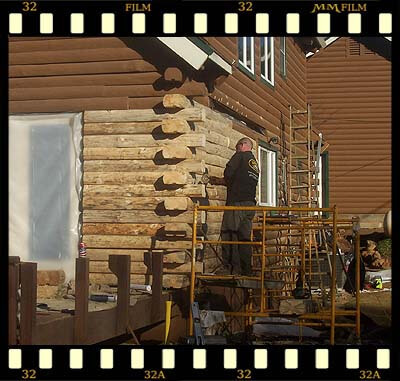 This process will only take 6 days to complete from start to finish. 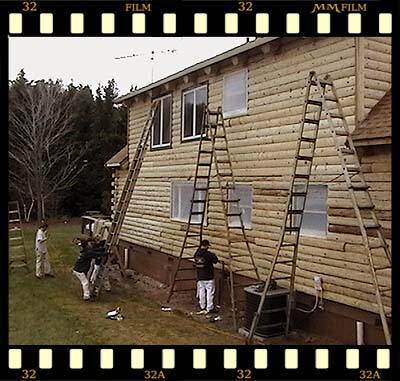 homeowner had applied over the years. 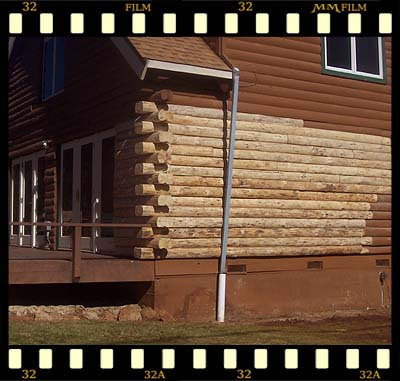 perfect surface to accept Lovitt’s Natural Gold oil based wood finish. 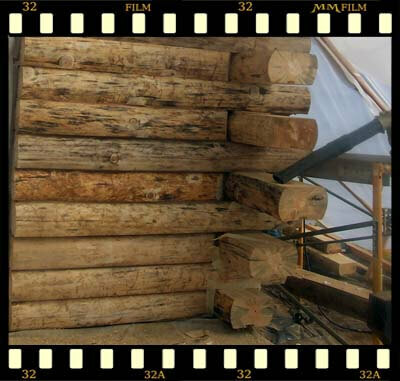 and protect the structural integrity of the logs.